If you live in Lombard, IL or a nearby locality you must have seen the Ford Flex driving around. This vehicle is in high demand particularly among those who are looking for a spacious vehicle with a straight-forward design. At Roesch Ford near Lombard, IL, we offer a free test drive of the Ford Flex and many other vehicles available for sale at our showroom. Visit Roesch Ford today, test drive some vehicles, and see if the Ford Flex is for you! The Ford Flex performs flawlessly on roads across america. You can take it anywhere with full confidence. The V6 twin turbocharged engine will give you a highly satisfying burst at the touch of the gas. What more could you expect at such an economical price? Right from the year 2009, when the Ford Flex was launched, this SUV has gone through many changes. Most of the Ford Flex's changes are not immediately visible because the Flex was designed to be more subtle. The Ford Flex is very safe. It has many standard safety features that you would expect in a modern vehicle. In crash tests, the Ford Flex has performed well. 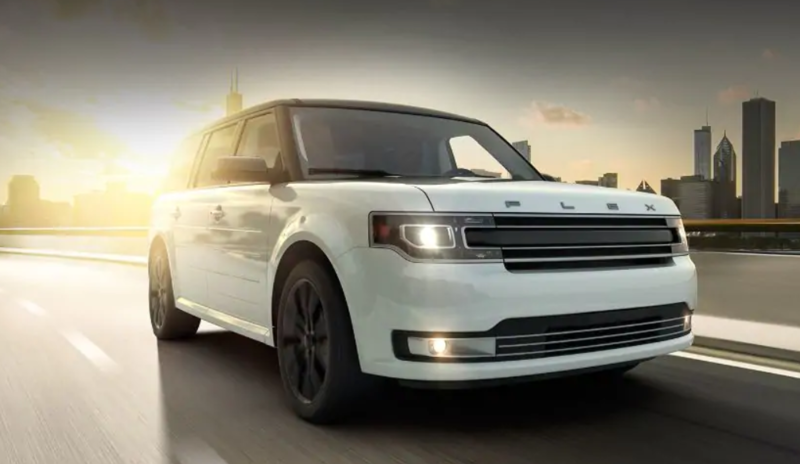 If you are looking for a combination of simplicity, sophistication, space, and safety, the 2019 Ford Flex must be your ultimate choice. Flex gives you the advantage of of seating 7 passengers. It also allows you to fold down the back seats to create more space for cargo. 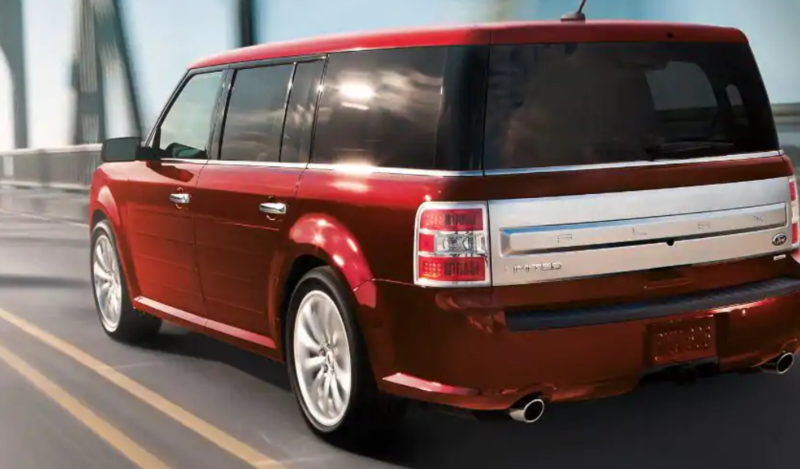 Also, the 2019 Ford Flex has a towing capacity of approximately 4500 lbs of weight. This vehicle is shaped in a boxy design. It has a fine and sophisticated looking interior and a simple exterior. Those who love the traditional shape of vehicles with a large cargo space and don't need everything fancy in their vehicles must go for the 2019 Ford Flex. If you often have to travel for camping, trekking or transportation of cargo, the 2019 Ford Flex is the best option you have in this price bracket. 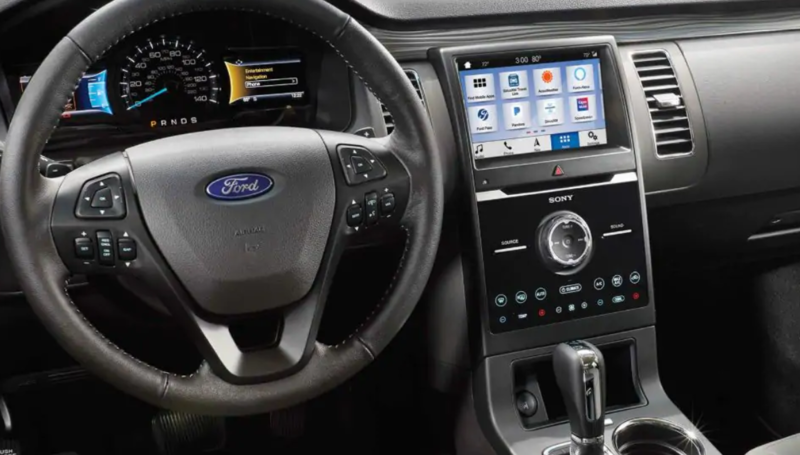 Why Test Drive A Ford Flex At Roesch Ford? Whenever you need to buy a new vehicle or used vehicle, need auto financing solutions or repair services, go to Roesch Ford near Lombard, IL. We have a wide variety of new, featured and certified pre-owned vehicles to satisfy any one our clients needs. Take some time out and pay us a visit, we assure you that once you meet our staff, see our competitive prices and special offers, we will become your first and foremost choice.